How To Use InfoGraphics In Your Chiropractic Marketing Campaigns To Boost Your Credibility, Position Yourself As An Authority and Rise Above The Noise! If you follow me on Social Media at all, one of the things you’ll notice is that I LOVE to use InfoGraphics as part of my marketing strategy. But I don’t just use InfoGraphics for the sake of putting up a pretty picture of a sunset with some “text” overlay on it, I’m more strategic. One of the reason I use InfoGraphics is for the purpose of position myself as a an Authority and Celebrity. No, not the Kim Kardashian or Kanye West type of celebrity, but as a celebrity figure within my niche. How do I do that exactly? I do it the same way I teach all my personal clients to do it. 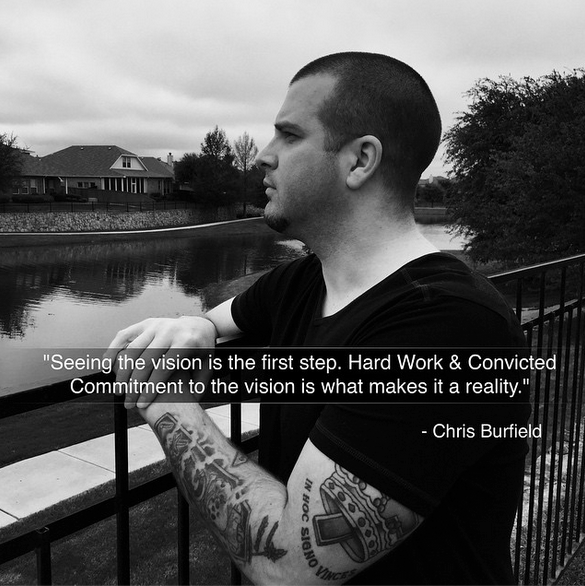 For starters, I use a photo of myself in the picture and then use a personal quote from me as the text overlay. For example, here is one of my most recent InfoGraphics. What’s the Psychology behind it? Well, for years now, we have been programmed through Social Media to see pictures of people with quotes next to them as Celebrities and Authorities. For example, have you ever seen a picture of Tony Robbins pop up in your feed with Tony’s mug staring you right in the face with a personal quote next to him? …or how about Robert Kiyosaki or Brendon Burchard? Of course you have! We all have. Now, what did you immediately think when you saw that? Did these thoughts run through your mind at nanosecond speed, “successful, wealthy, authority, wise, famous, etc., etc.,”? This is WHY you need to be doing the same thing. People in your Social Circles, such as patients, friends, complete strangers, EVERYONE needs to see you in this same light. At first it will seem awkward, and you’ll probably think, “Who am I to be doing such a thing?” but I promise you, after the 3rd or 4th one, it becomes fun and even somewhat addicting and all the awkwardness of it fades away. Now, you might also be thinking, “I don’t have personal quotes.” Then just come up with them now! Look, not even Tony Robbins has an original thought. Original thoughts are so rare it’s hard to even wrap your mind around someone who does have an original thought. There is nothing new under the sun. All these people whom we perceive as authority figures have done is take an old thought and put it into their own words. Do you really think Tony Robbins came up with the quote, “The path to success is to take massive, determined action.” Hell no, all he did was take someone else’s quote “The path to success is to take massive action.” and added the word “determined” to it and all of sudden it became Tony Robbins’ quote. You can do the same thing. Now, I understand that posting personal quotes might also have you thinking, “But Chris, isn’t that shameful, self promotion? It’s actually quite the opposite my friend, it’s “Shameless, Self Promotion.” Especially when you see yourself transforming others lives through it. Here’s an example of one of my clients using the “quote of the day” InfoGraphic Strategy. This strategy specifically helps position you as the WISE Community Guru. There are ALL sorts of ways to use InfoGraphics. It doesn’t just have to be you giving a personal quote of the day. You can use InfoGraphics to educate people about chiropractic or promote upcoming events. And I’m not talking about a picture of spine with a quote on it. I’m talking about YOUR face being on the graphic with and educational moment. …more on that later. As I said earlier, I have all of my personal coaching clients doing this. 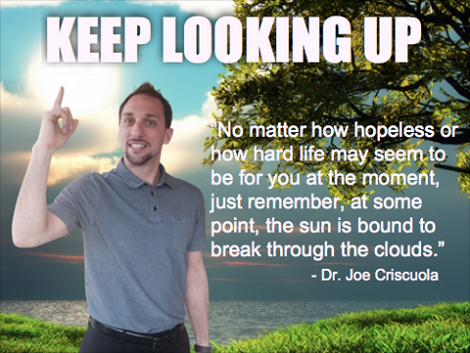 Here’s one of my clients, Dr. Joe Criscuola using an InfoGraphic to promote one of his upcoming Podcasts. Do you see how he’s using his picture in the InfoGraphic along with an image of the iTunes logo? Here’s the deal, iTunes is already perceived as an Authority site. Think about it, who’s on iTunes? Music Stars!! Famous People. Authority Figures. Movers and Shakers. 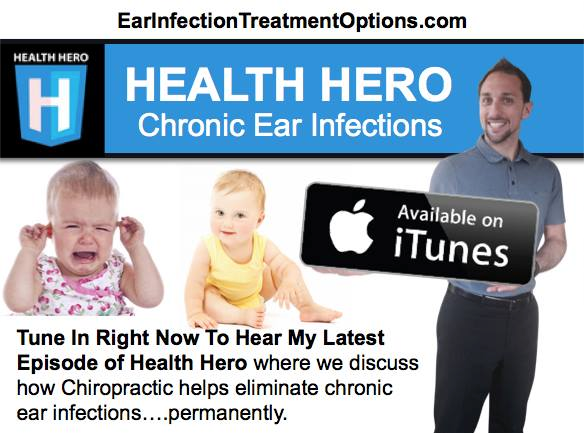 Here’s another sample of an InfoGraphic we created around the Ear Infection theme. This one is educational. This is what I was talking about earlier when I said to place YOUR photo on your educational InfoGraphics. Be original. Don’t post the same old stuff everyone else is posting. 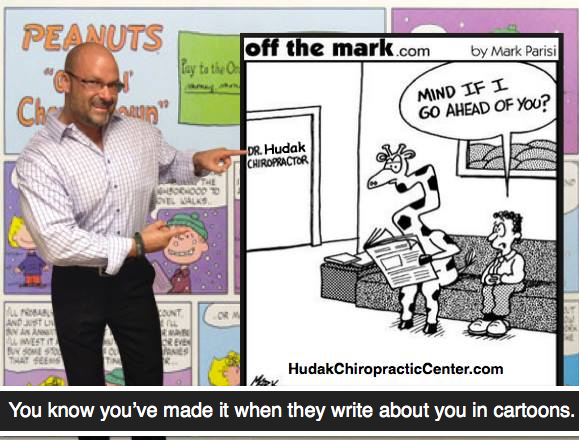 Another client of mine, Dr. Joe Hudak, is also using this same strategy in his practice. 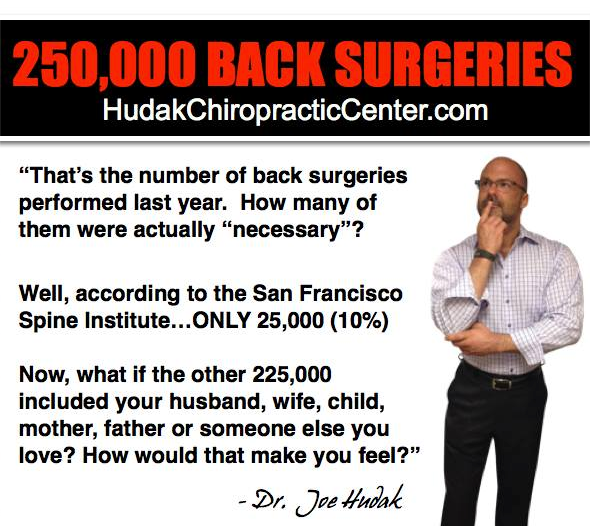 Now, Dr. Joe Hudak has a completely different style of practice and completely different personality than Dr. Joe Criscuola, but he’s still using InfoGraphics to position himself as an Authority and Celebrity in his community. 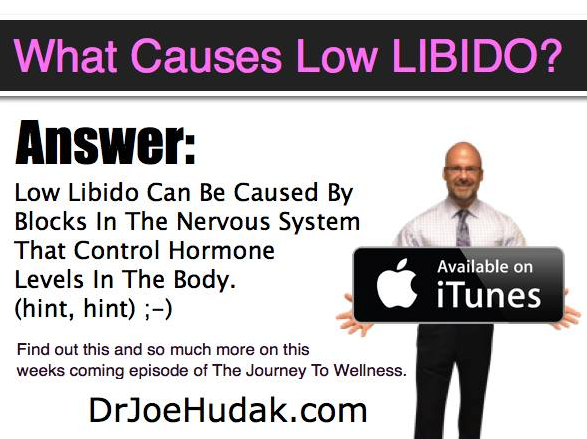 Dr. Hudak also has a Podcast. Here’s another example of him using iTunes as leverage to position himself as a Celebrity and Authority within his InfoGraphic. And here’s another example of Dr. Joe just having some fun! Hey, if you’re not having fun with this, then why do it? There’s just soooooo much you can do! …and it’s a lot of fun! I use this dimension because my graphics will fit within the borders of both Facebook and Instagram. You can get Super Creative like I did with these InfoGraphics or you can go really basic. You can choose from a couple of Apps. The first App. is TitleFx and you can find it in your App Store. The second App. is called WordSwag. Just take a Selfie of yourself and then open your TitleFx App or WordSwag and upload your Selfie. At that point, TitleFX or WordSwag will allow you place Text Overlay on your photo. Save it and post it to Facebook and Instagram. It will look something like this. See, you don’t have to go all Fancy to get the desired result. Now, for all you CREATIVES out there. MY People! I use a simple piece of software call SnagIt by TechSmith. This software is $49 and it it’s amazing. I’ve been using it for years and will continue to use it. Now, it does have a few limitations, like not being able to crop the background out (at least to where it looks clean) so I just have a transparent image of me to overlay on other backgrounds. However, that can be easily solved in two ways. Take some photos of yourself in multiple poses. Then go to http://Fiverr.com and hire someone to crop the background and then send you a .png file (transparent background) of you in your poses. Now you can overlay that image of you on any background your heart desires. I wasn’t actually standing in front of that garage door. This is actually two different pictures. The background is from Google Images (I just Snagged It with SnagIt). The photo of ME has a transparent background, so I just overlaid it on the image of the garage door. I can literally overlay the pic of me on any background I want. Pretty cool, eh? Once you have the transparent images of you, use SnagIt to construct any InfoGraphic you want. Now, this thing does have a learning curve, but once you get it down, it’s a pretty handy tool. So, there you have it!! I just showed you how to use InfoGraphics in your business to help position you as an authority figure in your community and create celebrity status. The biggest thing is to stay consistent. You should be posting at least twice a day, every day! Don’t expect to do this for a week and see results. Marketing your practice is a marathon, not a sprint. But you will see results if you keep at it. I hope you found some value in this post and I can’t wait to see the Facebook feed and Instagram feed flooding with your InfoGraphics. Make sure you tag me in them!! My Facebook page is http://Facebook.com/ChiropracticUnderground. If you tag me I will drop you a comment and if you want, I will even offer to help critique your next image for you to get maximum result. 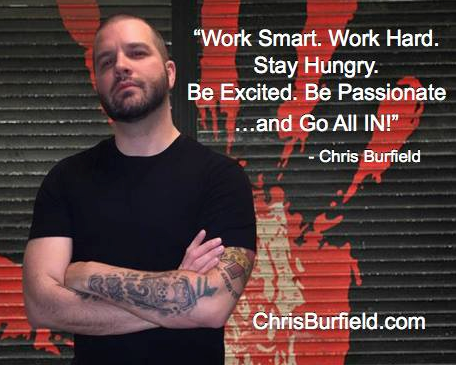 Chris blogs at http://www.ChiropracticUnderground.com where he teaches doctors how to successfully market their practice from the inside out.